It’s raining for perhaps the 900th day in a row here, so we might as we learn something while we’re all stuck inside all day illegally downloading Michael Jackson songs. 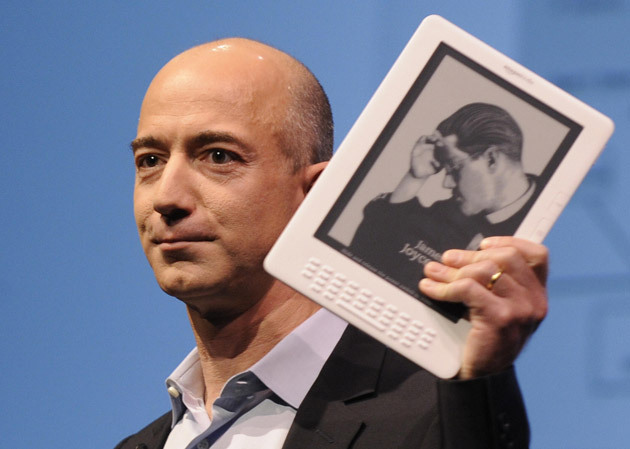 The Amazon Kindle—I’m sure you’ve heard of it. What you might not know is that it represents perhaps the last piece of tech gadgetry that I actually enjoy. Well, would enjoy—at $350, it’s still a tad expensive for me. In any event, Fast Company has a fun cover story this month, written by an old professor of mine, about how Amazon is trying so, so hard to make e-books the new hot thing, just like how Apple did a few years ago with digital music downloads. • Apple’s rumored multi-touch tablet could totally wreck Amazon’s plans. Would you rather buy a Kindle, which is at best an e-book reader with a few online capabilities tacked on for good measure (reading blogs, for example), or would rather buy a full-color Apple tablet, one with a, let’s say, 10-inch multi-touch screen, full compatibility with all that stuff you’ve bought from iTunes over the years, and gives you the “feeling” of owning an Apple product? • The whole idea of e-books may be flawed; books will evolve. No longer is publishing a several hundred-page book about Sherman’s March to the Sea (I’m reading that now, and it’s tremendous) the only thing authors (and their publishers) can expect to do. There’s got to be interactive features, multimedia razzmatazz, etc. And so on. Again, it’s a long read if all you’re used to is 300-word blog posts or two-sentence message board threads, but it’s worth the effort if you’re “into” the Kindle at all. Yup, still raining. How about Apple or Amazon invent a weather machine of some sort? That’d be handy.